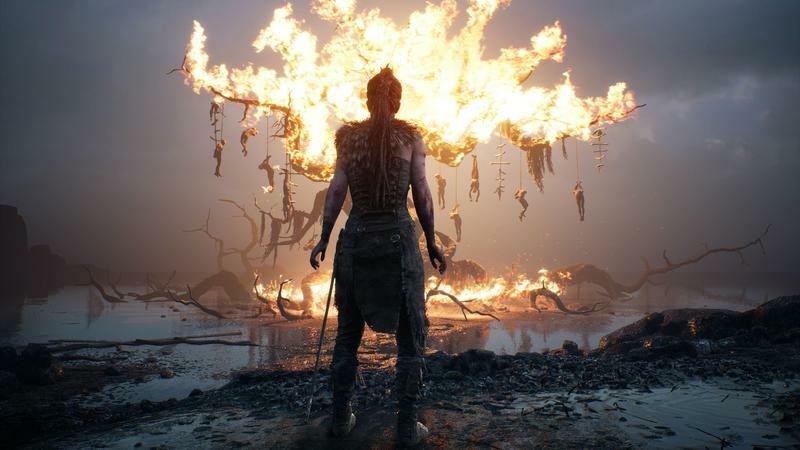 Ninja Theory has penned a brand new subtitle onto the end of its latest game, and it is reintroducing us to Hellblade: Senua's Sacrifice with a trailer showing off the madness which lurks in its heroine's mind. The studio wants its heroine to be one of the most believable characters in gaming history, and it is going all out to make her more realistic than any we've seen before. The additional "Dev Diary: Making a Virtual Human" trailer below highlights the strenuous task of recreating a human through digital effects. As for the trailer, we've known for a while that Ninja Theory was aiming for a theme of psychological illness putting our heroine forward, and this is the first we've seen of the voices which torment her mind. I gotta say, this trailer is as haunting and convincing as the team is hyping it to be. Senua journeys into the heartland of a violent Viking country, but it is not the horned warriors who she will have to fear the most. Hellblade: Senua's Sacrifice is in development for the PlayStation 4 and PC.